Taco is our 7th. We were not planning for another cat, but decided to take him in after my sister's dog and her daughter rescued him. 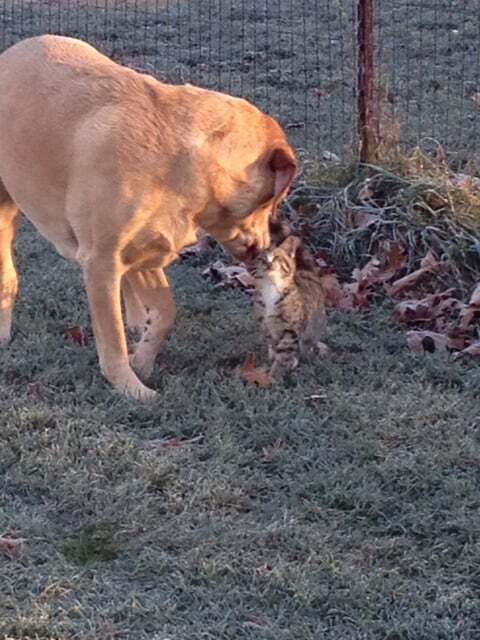 In November 2016, my sister's dog found a kitten (about 2 months old) in the yard. Her dog tried to help the kitten stay warm. His left eye was nearly sealed shut and he was very congested. The mom cat did not seem to be around or looking for him. My niece took him into the house. She was his rescuer! A couple of days later, I took the kitten (now named Taco), to the vet to get checked out while my niece was working. He tested negative for FIV and leukemia. He was prescribed a few meds and a can of special food. He was not eating very well since he could not smell well. My niece treated him daily and was hoping to work out a way to keep him. The timing wasn't right for her to keep him. So, Ted and I decided we could have one more cat. About a year after we found homes for 3 of Violet's kittens, we realized that we could have kept them. If we had known more about making the house more cat friendly at that time. Keeping Taco feels like a way to show that we could have done. Her kittens went to good happy homes! Taco's name has been a bit controversial. His original name was Simba, because the dog that found him was Nala (Lion King characters). We decided to rename him to a name of our choosing. Coming up with a name can be challenging. We decided on Taco on a day that was extremely hungry. 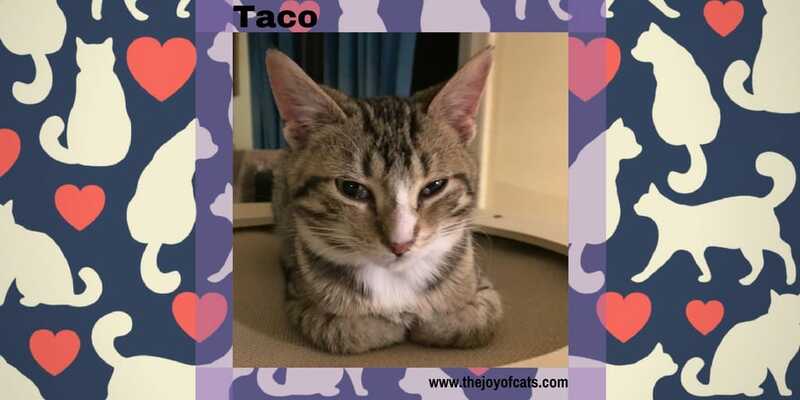 And Taco backwards is O Cat! Then I wasn't sure I liked Taco as his name since taco is a food. I tried out Lucky, but seemed to keep calling him Taco. So, Taco is the name that stuck.! His eye took about a month to heal. He was taken to the vet weekly for checkups. Turns out he had an eye ulcer! His eye looked worse before it got better. He is still a little congested and stuffy. Taco with crossed legs. 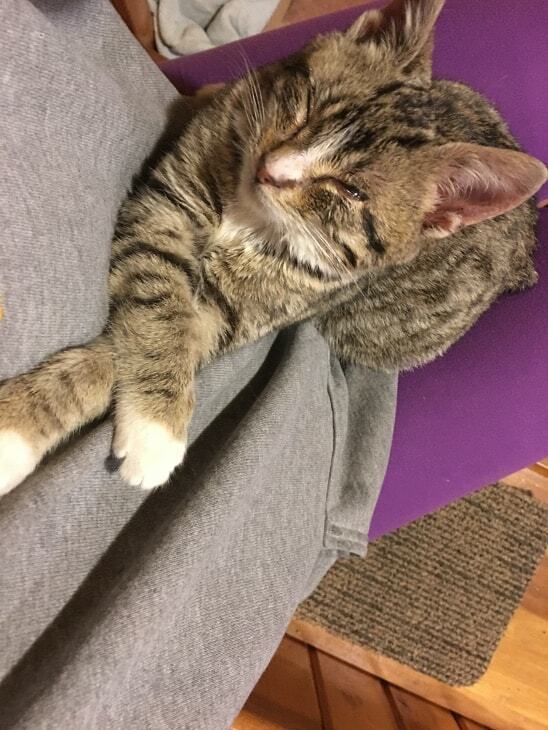 His eye is still healing in this picture and we had him separate from the other cats. We had to keep Taco separate from the other cats for a while. First, because he was sick. And then to do a slow introduction with him to meet the other cats. We have a large foyer area that can be closed off to the other cats. We close this door in the summer when the air conditioning is running and have a cat door in it. The other cats were able to see him through the cat door. And some days we would let them smell him by cracking the door a bit. And when Taco was at the vet, we let the other cats into this area. December was very cold and we had to run a space heater in the foyer. We didn't want to run it over night while sleeping for safety reasons. So after about a week, we let him into the house. There was some hissing at first, but no fighting. And now the other cats have mostly adjusted to having him in the house. Jake seems to like him the best! Meet the other cats here! 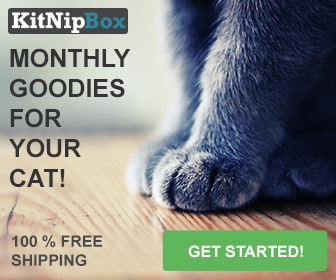 I love that – O Cat! 🙂 Glad he’s settling into the household nicely. Thanks! I didn’t realize that O Cat when picking out his name. A few people pointed that out after making the name announcement!